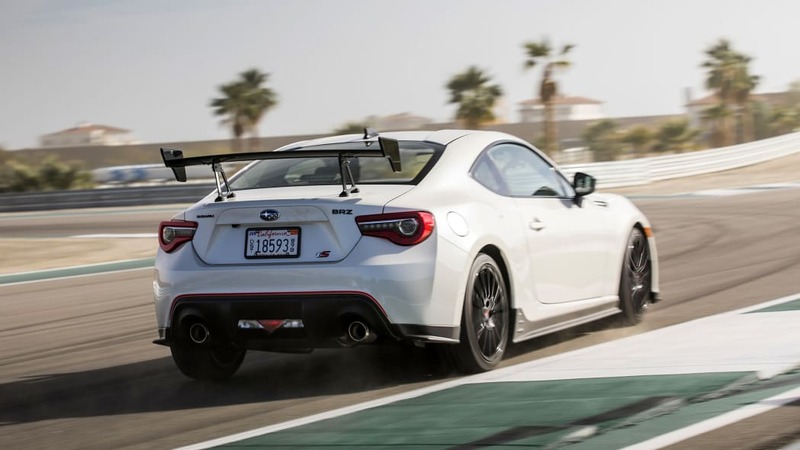 It may not have the acceleration of its STI stablemate, but it sure can carve a corner. 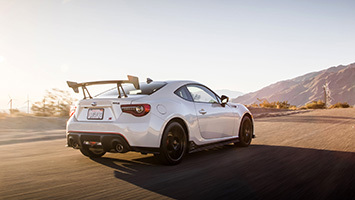 PALM SPRINGS, Calif. — When we went to California to drive the 2018 Subaru WRX STI Type RA, the Japanese automaker let us have a crack at another tuned model, the 2018 BRZ tS. The extra letters standing for "tuned by STI," the folks at Subaru Technica International gave a warming-over to the company's sole rear-wheel-drive offering. 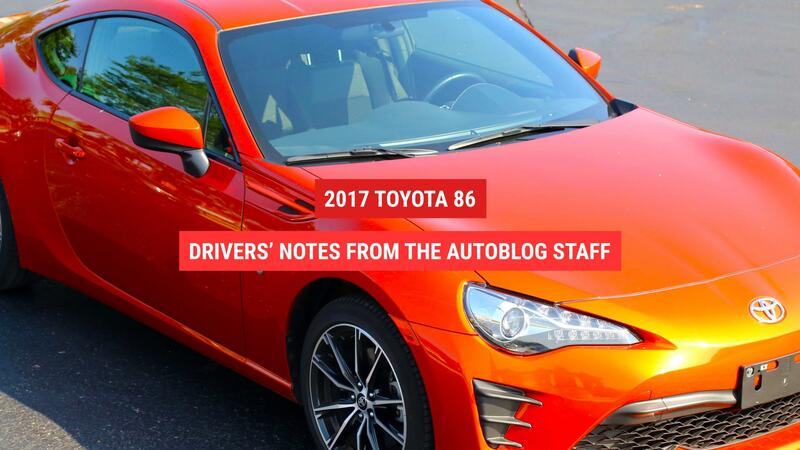 Interestingly, the entire 2018 BRZ lineup benefits from having the tS at the top of the pack. 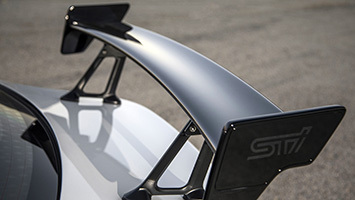 One of the improvements for the STI-tuned version is increased chassis rigidity. 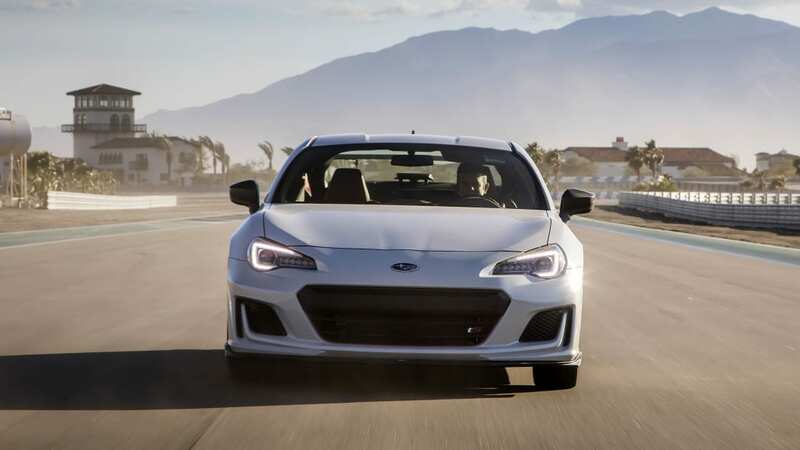 To account for the added stress on the body from its 18-inch wheels — the first time wheels that large have been offered on the BRZ — the frontend rear bulkheads were strengthened. 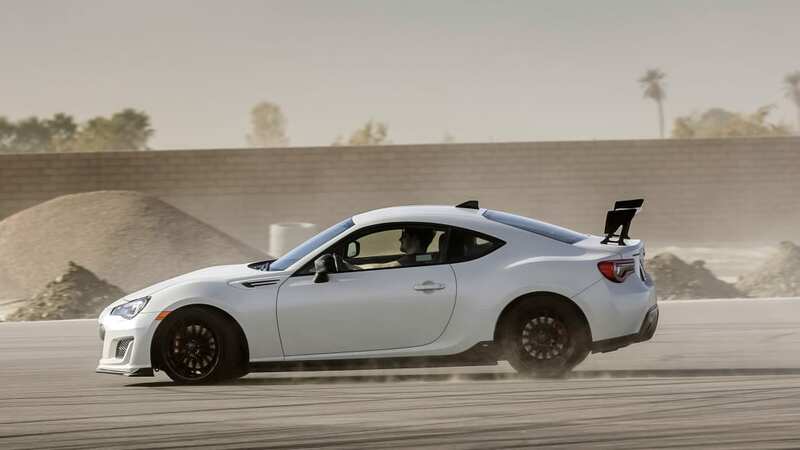 That extra support makes its way into every BRZ, though, not just the tS. Exclusive to the tS are a number of other parts to provide more responsive handling. Lift the hood, and you'll find the BRZ's usual strut tower braces bolted diagonally to the cowl in the engine compartment. This V-Bar, as Subaru refers to it, includes a pillow ball on each brace that helps keep maintain rigidity while reducing vibrations. 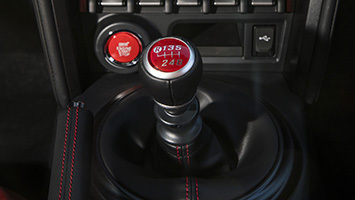 Subaru also claims this STI-proprietary technology reduces yaw rates and quickens the response to steering inputs. 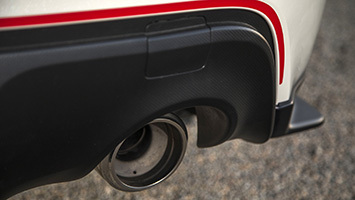 Additionally, flexible draw stiffeners link the front suspension crossmember to the front sub-frame to further improve response to driver inputs. 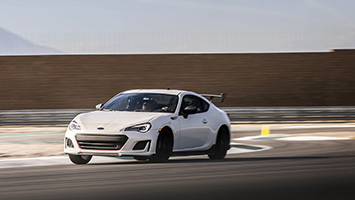 At the corners, the BRZ tS's lightweight 18-inch wheels are wrapped in Michelin Pilot Sport 4 tires, selected by Subaru after "extensive" testing with the STI chassis tuning. 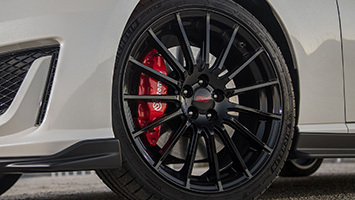 Hiding behind the 15-spoke rims are a set of Brembo brakes borrowed from the BRZ Performance Package. Tying it all together is a set of STI-tuned springs and Sachs dampers, which reduce roll by 18 percent and pitching by 15 percent. 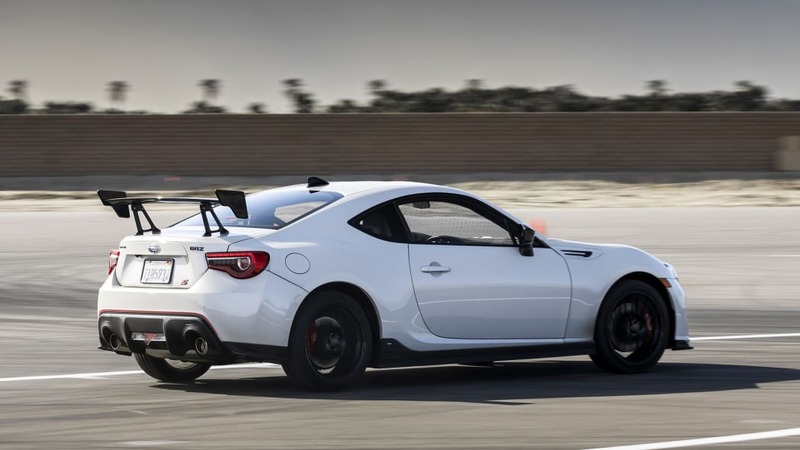 Visually, the BRZ tS gets some functional aerodynamic enhancements, as well as some design cues to set it apart aesthetically. 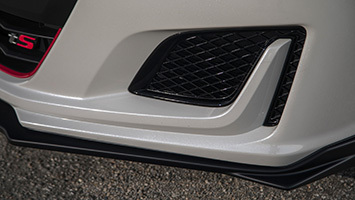 Up front is an underspoiler to reduce lift, and STI Cherry Blossom Red accents around the grille. In the rear, it gets an underspoiler, a bumper cover with more red accents, plus a dramatic dry carbon rear wing. That big bench, like that on the WRX STI Type RA, is adjustable to two positions to achieve the right balance between drag and downforce. Subaru says it's effective at speed over 50 miles per hour. Also on the exterior, it gets front and rear tS badging, black mirror covers and a black roof antenna. The fog lights are gone, replaced by STI fog light covers. Like the STI Type RA, the BRZ tS is limited to three paint color options: WR Blue Pearl, Crystal Black Silica and Crystal White Pearl. 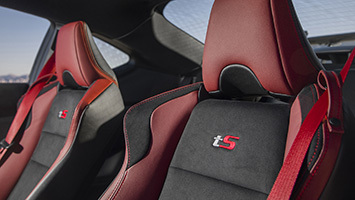 Inside, the black leather and Alcantara upholstery features red stitching and the tS logo embroidered on the seat backs. Red seat belts match the Cherry Blossom Red accents found throughout the interior. 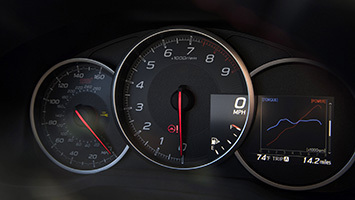 The tS gets its own instrument cluster, complete with a multifunction display borrowed from the BRZ Limited that can show a number of different performance readouts, including lateral G-force, accelerator and braking force, and a stopwatch, among others. Unlike the STI Type RA, the BRZ tS doesn't get any powertrain upgrades to improve performance. There's no strengthened pistons or valves, no performance air intake or exhaust, no changes in gearing. 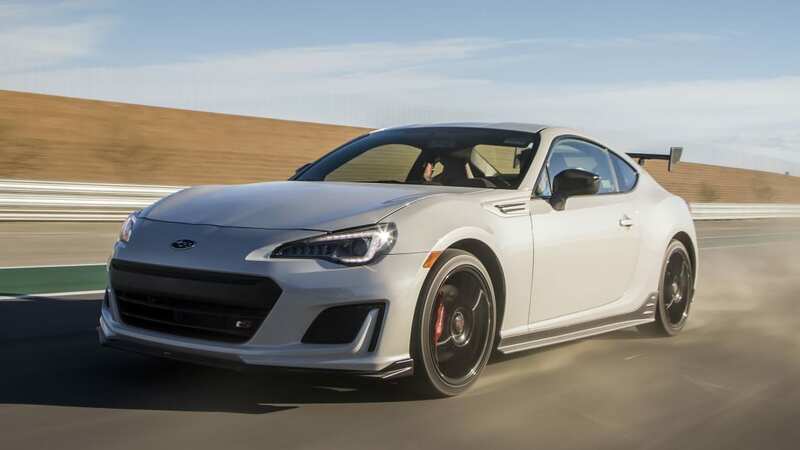 It makes 205 horsepower and 156 pound-feet of torque, just like a base BRZ. As such, it feels the same when you step on the gas and row through the gears. 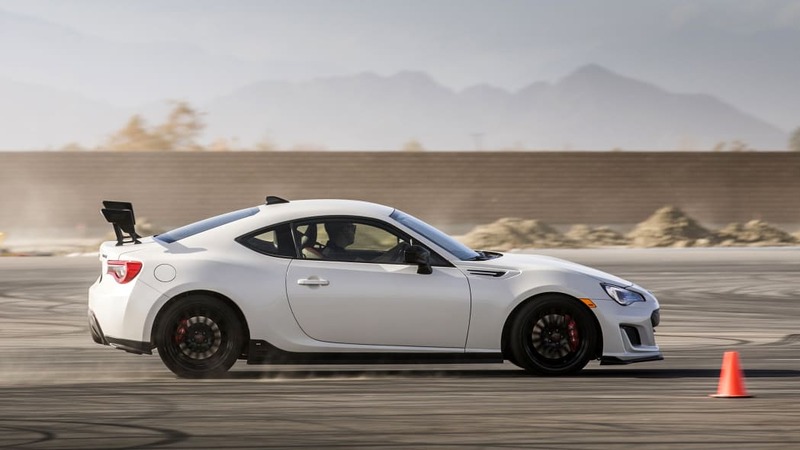 Getting into it directly after driving the STI, the BRZ feels slow. This car sounds great, though. The sound of the motor climbing the rev range is enough to get one's pulse up, even if it doesn't pin you to your backrest. 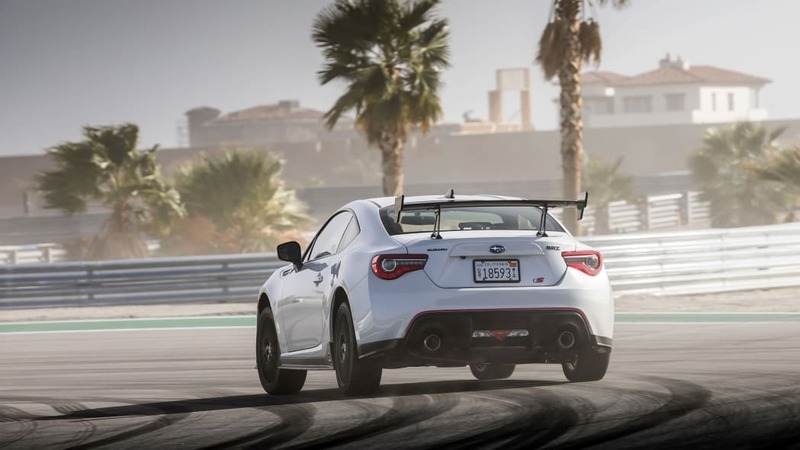 Climbing through the same desert mountains above Palm Springs where we flogged the STI, we got the chance to throw the BRZ tS into repeating tight corners and long, sweeping curves alike. 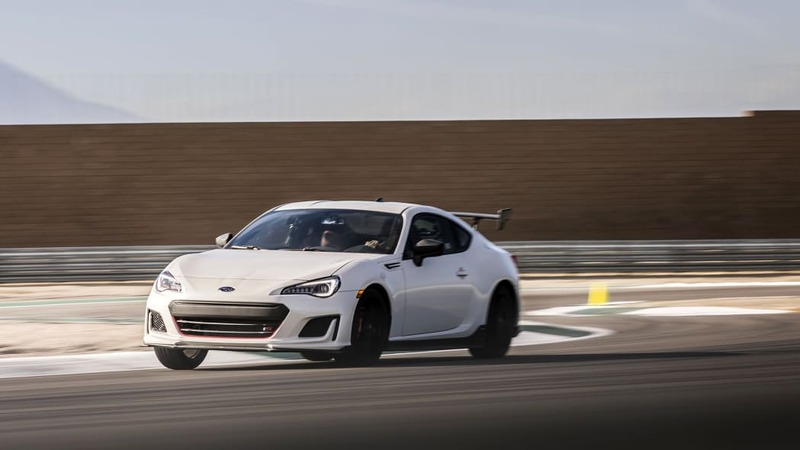 The handling improvements weren't as readily noticeable in the BRZ as they were in the WRX STI, apart from one; the Michelin tires offered a ton of lateral grip. With an unaltered, naturally aspirated 2.0-liter boxer four providing the power, there simply wasn't enough runway to build up enough speed to test the limits on this public road. Still, it felt heroic. 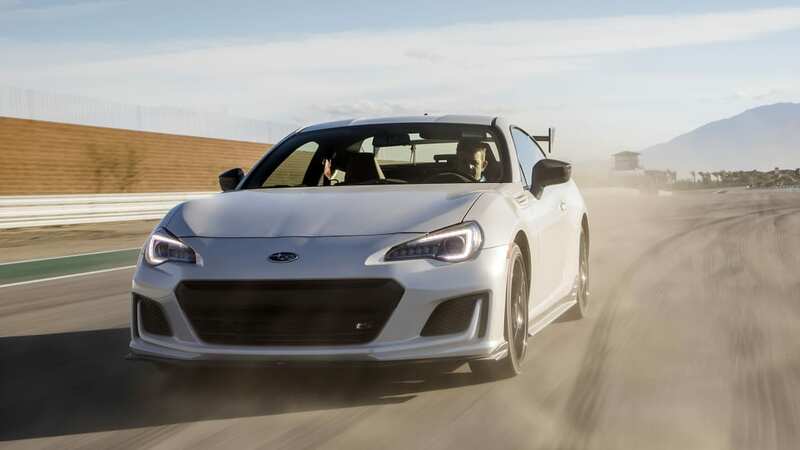 The BRZ is fun to drive, special edition or not. It's one of those cars that feels like an extension of your body, an exoskeleton of steel and rubber. This one was no different, and we did notice a bit more road feel through the seat of our pants. We'll chalk that one up to the larger tires as well, along with the specially tuned suspension. 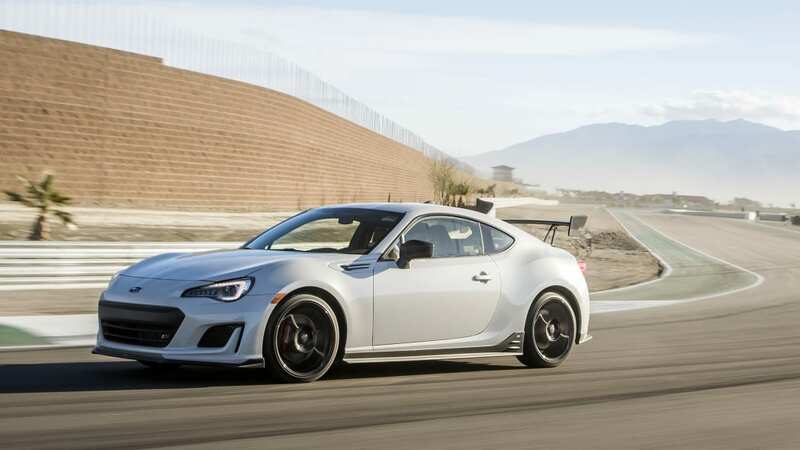 To really get a feel for the car, though, we had to get off the public road, and we headed to the exclusive Thermal Club in Coachella Valley to test the BRZ tS — along with the STI Type RA — on some private pavement. 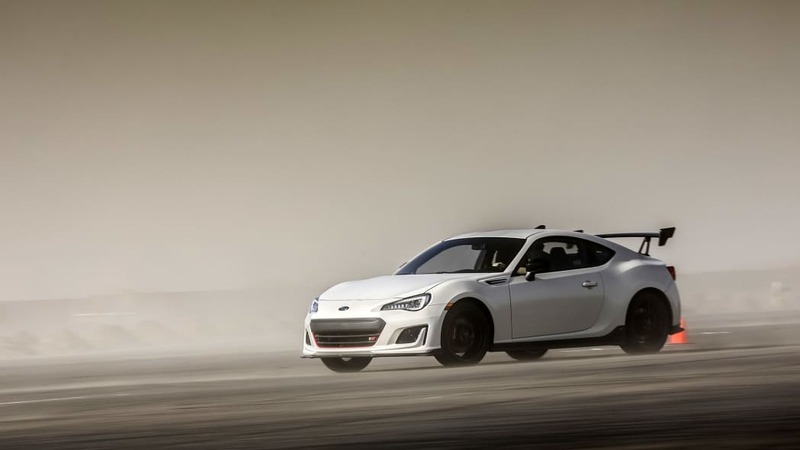 Here's where the BRZ tS comes into its own. Accelerating out of the pit lane, aiming for the first apex, then flooring it down the first straight at Thermal as we climbed into fourth gear, we've already had our first taste of the BRZ's response when we're not holding back for fear of careening off a cliffside, possibly taking a cyclist with us. Then come more corners, and the tS feels synaptically quick to turn in, and stays flat as we do our damnedest to try to get the rear end loose. We throw it into tight corners, and get just a little wag from the tail, the Michelin rubber clawing at the pavement. There's just loads of grip, and on every exit acceleration, the tS is super quick to right itself back on our intended line, completely composed and ready for the next corner. Eventually, after a couple laps, we get the BRZ to dance a little bit, but it doesn't let us lead it too far astray. 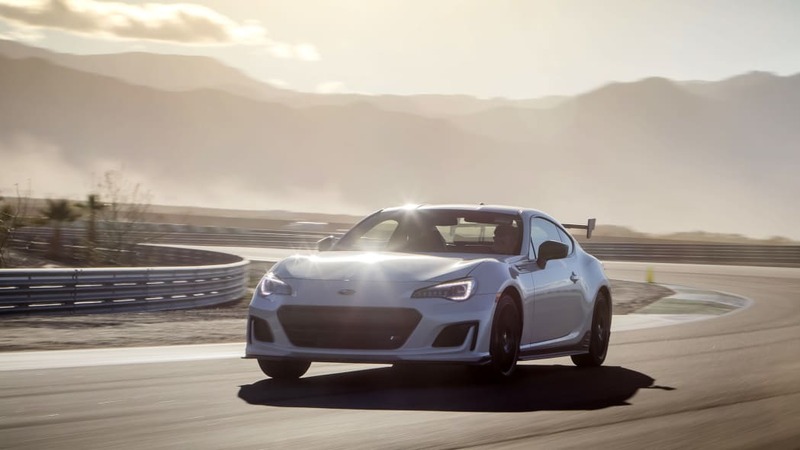 With just 205 horsepower to work with, plus a team of engineers that have apparently really done their jobs well, the BRZ carved its way gleefully around the course. 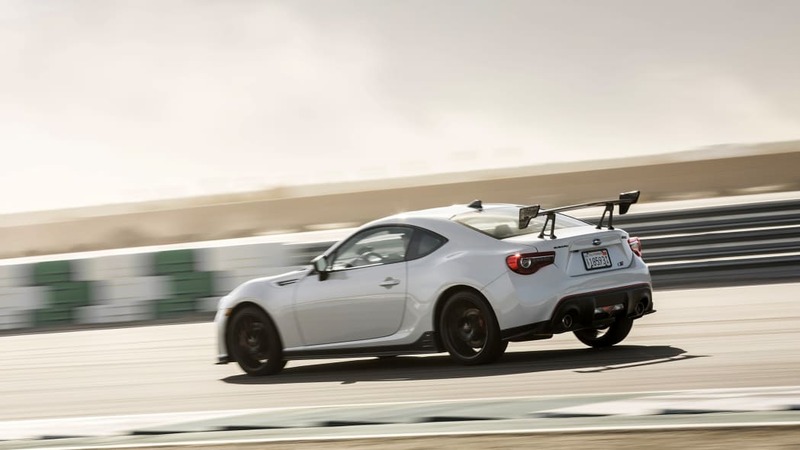 After driving both the STI Type RA and BRZ tS at Thermal, we found the former to be more like skiing, while the latter felt more like snowboarding. 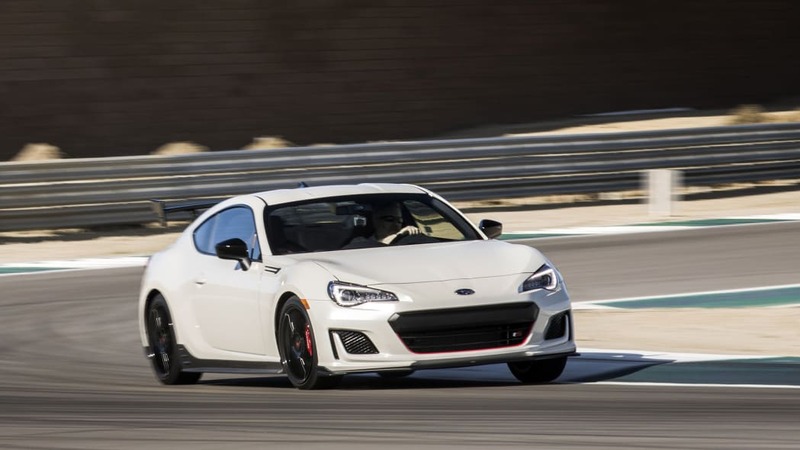 The BRZ feels more fluid, requiring less precision to carry more speed around corners. It offers a lot in the way of feel, especially through the seat of the pants, and it only gets more fun as you learn its tendencies. 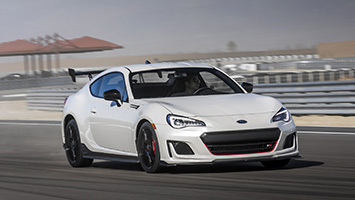 If we came to California more interested in trying the STI, we left with dreams of buying an STI-tuned BRZ. 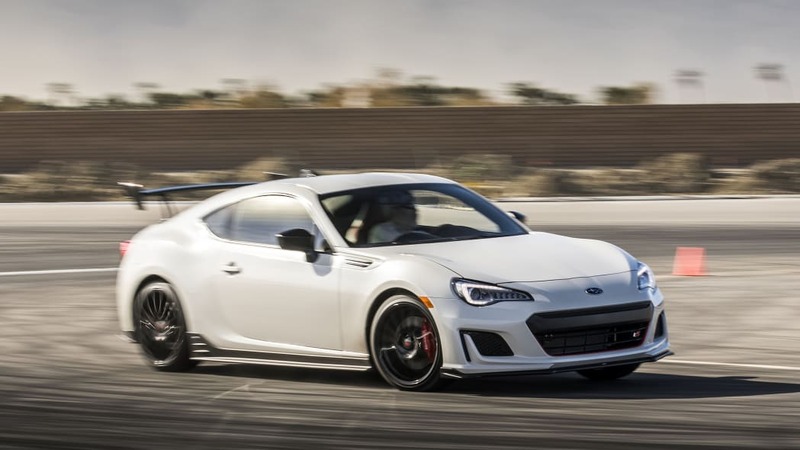 Is the BRZ tS a value proposition? At $34,355, it doesn't appear to be a performance bargain at first glance. 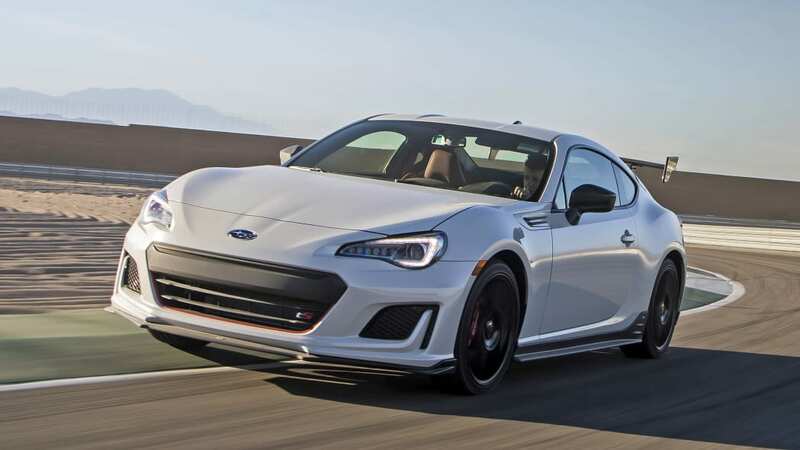 A base BRZ starts at an MSRP of $26,455, and offers the exact same powertrain. That said, a BRZ Limited with the optional Performance Package and underspoilers costs $32,594. That includes wider 17-inch wheels, a Brembo brake package, and Sachs performance dampers. 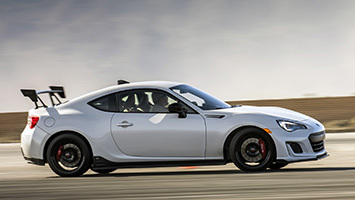 So, for less than $2,000, the BRZ tS offers further chassis tuning, 18-inch wheels, those extremely grippy tires, and that adjustable rear wing in the back. That's on top of the premium interior features offered in the Limited trim. Furthermore, the tS actually lives up to the "limited" part, as only 500 units will be offered in the U.S. Since the extra traction is worth the price of admission, the exclusivity is a nice bonus. 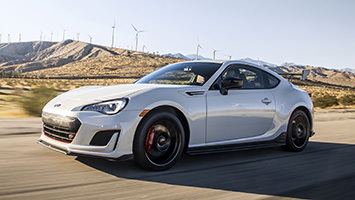 While the value proposition of the Type RA over a fully loaded STI is questionable, the BRZ tS is a clear winner — if you can get your hands on one.